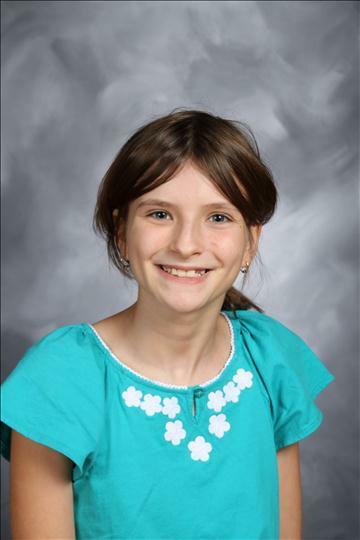 A student representing Rotolo Middle School recently received a perfect score in the first of three meets for this year’s WordMasters Challenge™—a national vocabulary competition involving nearly 150,000 students annually. Competing in the difficult Blue Division of the WordMasters Challenge, sixth grader Rebecca Wirth earned a perfect score of 20 in the recent meet. Nationally, only 31 sixth graders achieved a perfect score. Other students at Rotolo Middle School who achieved outstanding results in the first meet include Kelsie Hoffmann, Vivien Cohen, Conor Kelly, Erin O’Brien, Nick Reimer, and Tsunami Smith, each scoring 19. The students were coached in preparation for the WordMasters Challenge by their ELA teachers. The WordMasters Challenge is an exercise in critical thinking that first encourages students to become familiar with a set of interesting new words (considerably harder than grade level), and then challenges them to use those words to complete analogies expressing various kinds of logical relationships. Working to solve the analogies helps students learn to think both analytically and metaphorically. Although most vocabulary enrichment and analogy-solving programs are designed for use by high school students, WordMasters Challenge materials have been specifically created for younger students in grades three through eight. They are particularly well suited for children who are motivated by the challenge of learning new words and enjoy the logical puzzles posed by analogies.